This resource answers the question, “How can I provide differentiated instruction when I have over 100 students? 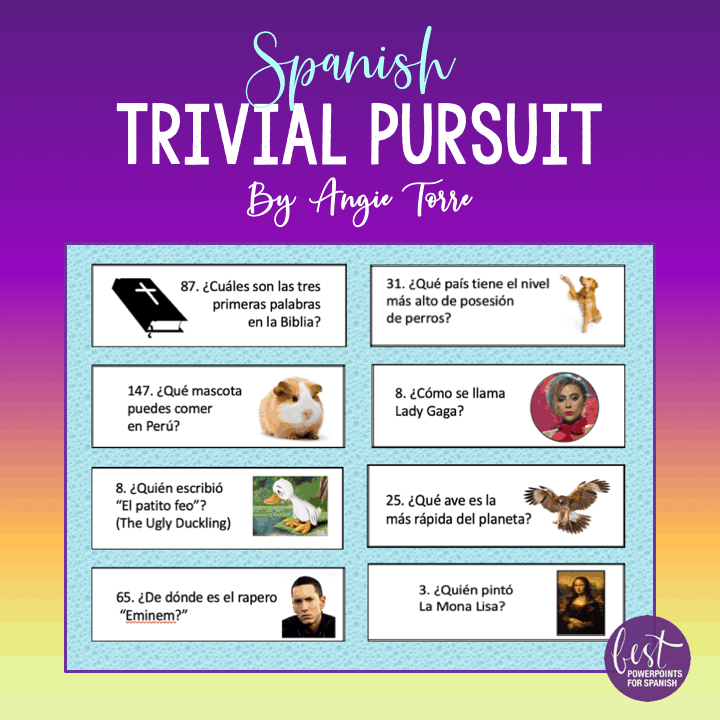 Fast finishers work for rewards by answering the Spanish Trivial Pursuit questions (Minimaratón). 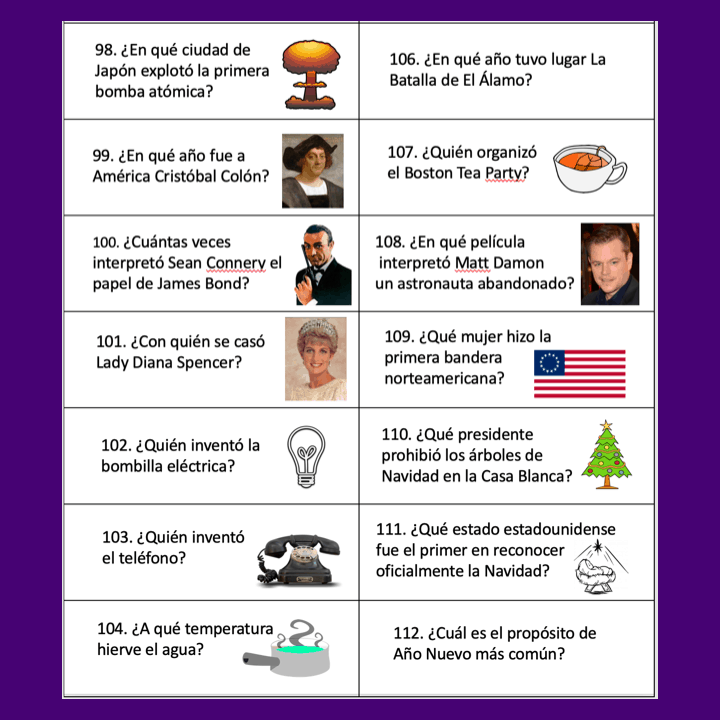 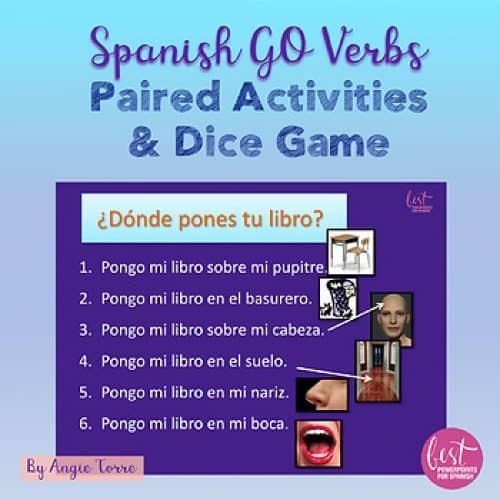 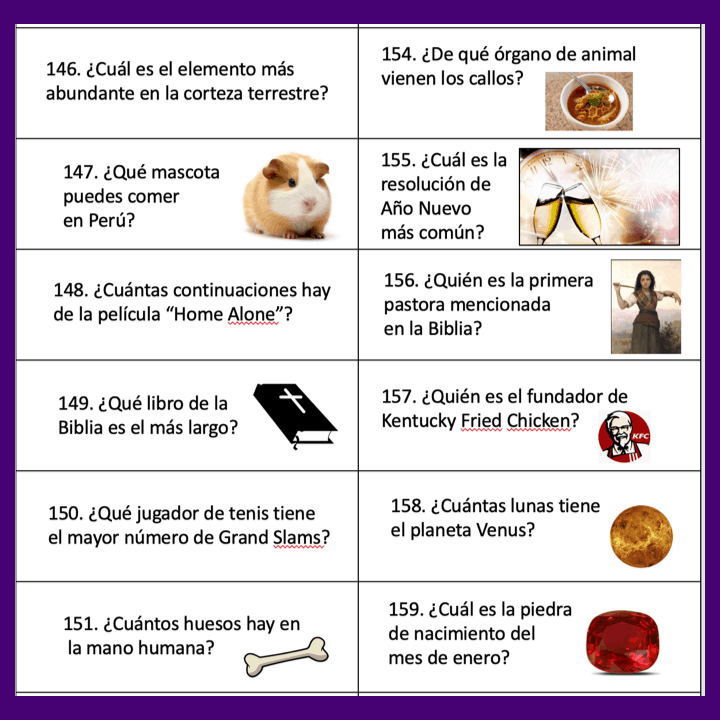 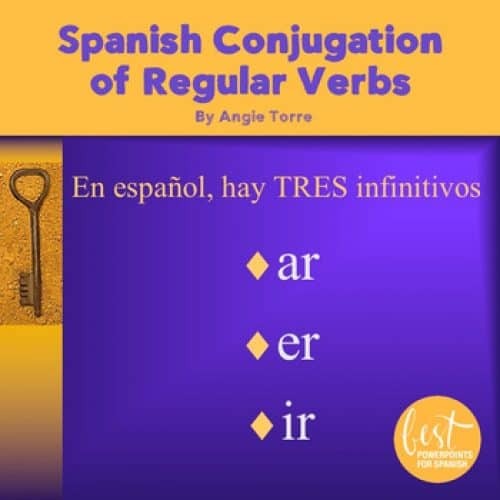 There are a total of 486 questions for all levels of Spanish, many with illustrations. The questions cover a variety of topics including entertainment, geography, history, celebrities, art, the Bible, the calendar, science, culture, music, current and past icons, sports and more. 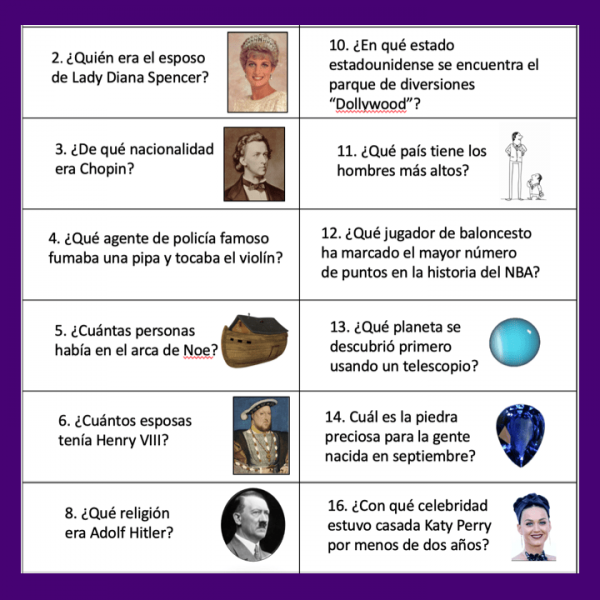 These questions have been compiled over several years.